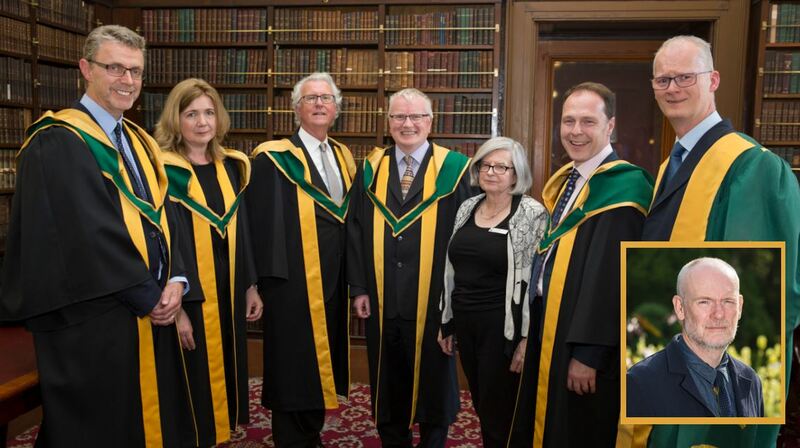 Six academics from Queen’s University have recently been elected as members of the Royal Irish Academy in recognition of their exceptional academic achievements. The Royal Irish Academy is an all-Ireland academic body that promotes study and excellence in the sciences, humanities and social sciences, as well as to public service and has been honouring Ireland’s leading contributors to the world of education and learning since its establishment in 1785. Past Members have included Maria Edgeworth, a pioneer of the modern novel and Nobel laureates: WB Yeats, Ernest Walton, Erwin Schrödinger and Seamus Heaney. Professor Greg Toner, from the School of Arts, English and Languages. Professor Richard English, Pro-Vice-Chancellor for Internationalisation and Engagement at Queen’s said: “I’m delighted to see this well-deserved recognition of Queen’s University colleagues by the Royal Irish Academy. Membership of the Academy is the highest academic honour in Ireland, and election is open only to those resident in the Republic of Ireland or in Northern Ireland. Members assist the Academy in its work by serving on its various committees and working groups, by representing the Academy nationally and internationally and by giving of their expertise to help promote awareness of how the sciences and the humanities enrich our lives and benefit society. Founded in 1785, The Royal Irish Academy currently has 591 members, of whom 87 are Honorary or overseas members, including: William C. Campbell, Nobel Laureate; Louise Richardson, Vice-Chancellor of the University of Oxford; Mary E Daly, historian and Commissioner, Mother and Baby Homes Commission of Investigation; Brian MacCraith, physicist and President of Dublin City University; Frances Ruane, economist and Chair of the Abbey Theatre board; and Mary Kelly, chemist and chairperson of An Bord Pleanála. Media inquiries to Queen's University Communications Office on tel: +44 (0)28 9097 3091. Caption – pictured (L-R) are: Professor Alan Stitt, from the School of Medicine, Dentistry and Biomedical Sciences; Professor Fran Brearton, School of Arts, English and Languages; Professor Christopher McCrudden, School of Law; Professor Greg Toner, School of Arts, English and Languages; Professor Mary O'Dowd, from the School of History, Anthropology, Philosophy and Politics, who was elected a Member of the Academy in 2010; Professor Marty Gregg, School of Mathematics and Physics; Professor Michael Peter Kennedy, President of the Royal Irish Academy and (inset) Professor Andy Meharg, School of Biological Sciences.